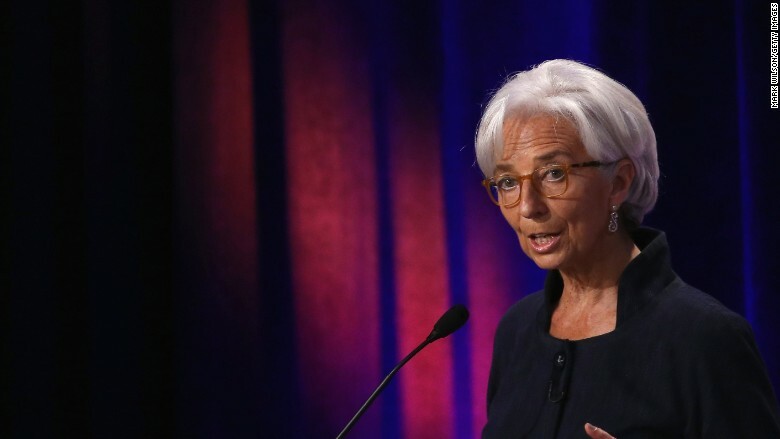 Christine Lagarde, the head of the International Monetary Fund, has been ordered to appear in court over her alleged involvement in a long-running French fraud case. Lagarde has been accused of intervening in a court dispute between French tycoon Bernard Tapie and the bank Credit Lyonnais in 2007, when she was the finance minister for President Nicolas Sarkozy. Tapie, a Sarkozy supporter, sued the French state in 1993 after selling a stake in sports company Adidas to French bank Credit Lyonnais. The bank was owned by the state at the time. He claimed Credit Lyonnais defrauded him when it resold the stake at a far higher price. The now defunct bank denied wrongdoing. The case moved glacially through the court system for years. As the finance minister, Lagarde decided in 2007 that the case should be arbitrated by a special panel of judges rather than a traditional jury. In 2008, the arbitration panel ordered that Credit Lyonnais to pay Tapie 400 million euros ($434 million) in damages. Prosecutors believe that Lagarde was negligent in dealing with the case. She was placed under formal investigation in August last year. She has denied any wrongdoing. The IMF said it would not comment on the case that's currently before the French judiciary. "However, the Executive Board continues to express its confidence in the Managing Director's ability to effectively carry out her duties," Gerry Rice, the IMF communications director, said. Lagarde was appointed IMF managing director in June 2011.